Yes, you can. Just click on the Settings icon, then click on Site branding for simple instructions. 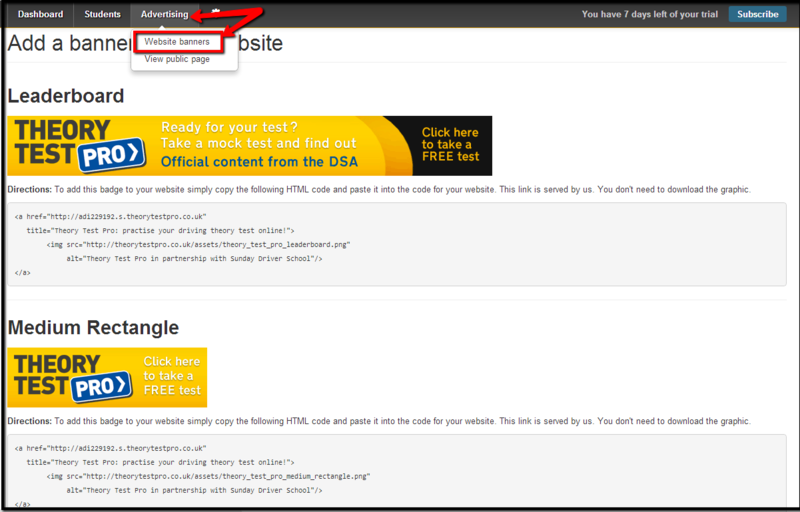 You can also add information about Theory Test Pro to your driving school website. This can help make sure students know what services are on offer. 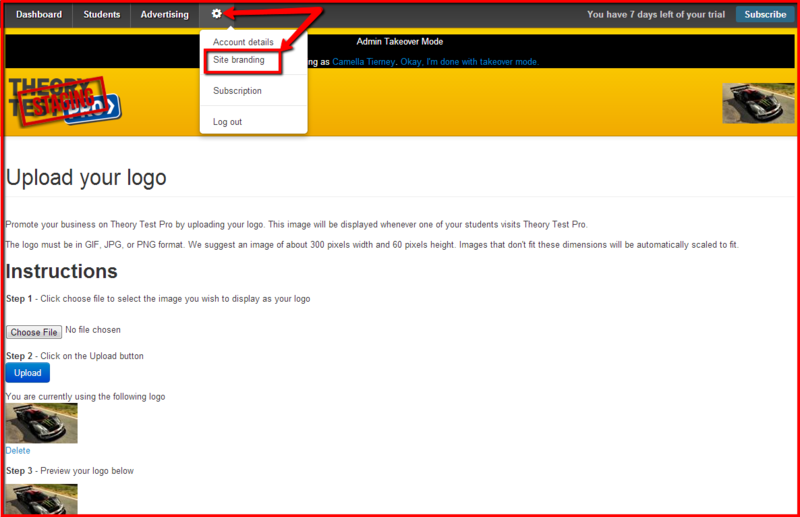 Just click on the Advertising tab in your Instructor dashboard for simple instructions.